US ‘advisers’ is a purely political label on the part of American politicians because the American people don’t want the US to be involved in another major war in the Middle East, says Brian Becker, from the anti-war Answer Coalition. The US is to provide air cover along with ground assistance to a Syrian militia group that has launched a major assault on the city of Raqqa to retake it from Islamic State (IS, formerly ISIS/ISIL). An RT Arabic crew photographed American fighters wearing helmets and bulletproof vests near the city. American Special Forces were also reportedly spotted on the frontline alongside Iraqi army and Kurdish militia, who are trying to drive ISIS out of Mosul in northern Iraq. RT: The Pentagon said earlier it had no plans to send troops into Mosul but reports in the Arabic media suggest American boots are already on the ground. What do you think is going on? Brian Becker: Undoubtedly there are American boots on the ground. But the point the Pentagon is making is that there won’t be decisive numbers of boots on the ground because they have to tell the American people and public: “We are not going to reengage in Iraq the way we did before.” And in fact, the US cannot reengage in Iraq the way it did before because American public opinion is so deeply and profoundly developed against another major US war in the Middle East, no politician, whether they are the Democrats today or the Republicans tomorrow – doesn’t matter. There is a restraint on limiting US power. But yes, there are 5,000 US boots on the ground in Iraq and there are thousands more private contractors. It is just they won’t be decisive. RT: The US admits it has 'advisers' assisting Iraqi forces. Is there really a clear distinction between adviser and a combat soldier? BB: Indeed. At the beginning of the Vietnam War, the Kennedy administration always told the American people: “Don’t worry, we only have advisers.” But of course, if the policy fails, the advisers have to be supplemented by other advisers and other advisers. And sooner or later, the politicians, the generals, the admirals – they have to admit: of course these advisers are not simply advisers - they are in fact boots on the ground. It is really quantifiable when you have large tens of thousands of American troops in combat and dying, then it is undeniable. But right now we have this kind of incremental step to assuage public opinion, to tell public opinion: “Don’t worry, all the bleeding will be done by Iraqis, it won’t be done by the Americans and don’t focus too much on Iraq.” Because of course, the American people were decisive in forcing the US to actually leave Iraq in large numbers. And the politicians don’t want that to happen again. So, yes, that’s the reason they call them ‘advisers’. Former Pentagon official Michael Maloof told RT: "Any time you have Special Forces involved, even in an advisory or training role, and all of a sudden they are on the frontline. There are no frontlines in this kind of asymmetric warfare and they are going to be facing combat and by definition according to the Pentagon that constitutes combat." That "is absolutely contrary to what the Obama administration promised it would not happen," Maloof went on to say. “It’s delusional to think the United States does not have a combat role right now in either Iraq or in Syria,” the ex-Pentagon official concluded. RT: If the US and Iraqi forces can't win this quickly. Could this develop into a long, drawn out conflict? BB: Even if ISIS is driven out of Mosul, they have a capacity to fight a guerrilla war. Just simply removing them from one town, even if the town is important – the second biggest city of Iraq like Mosul, it will not be decisive. ISIS is a real part of the Iraqi political and military landscape at this point; it is in the Syrian political and military landscape. The US really doesn’t have the capacity to oust ISIS. They say they have boots on the ground to defeat them, but of course they are not American boots in the sense that they are there to really defeat ISIS. 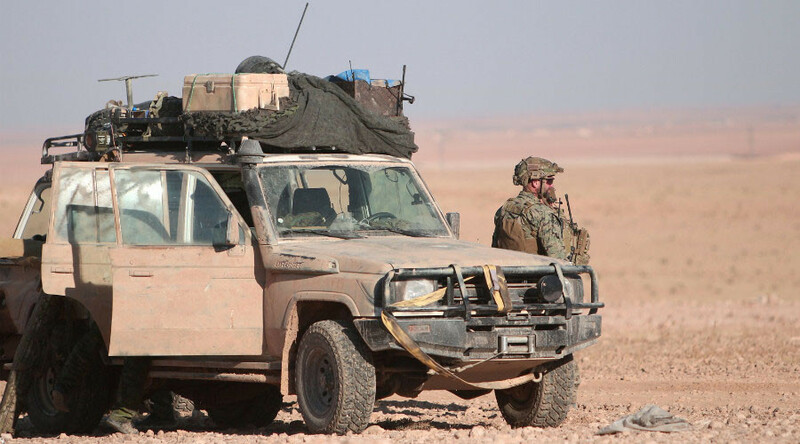 You have to have tens of thousands of seasoned combat veterans not to drive them only from one town whether it is Raqqa or Mosul, but to defeat them decisively on the battlefield. ISIS has lots of military options including guerilla warfare. RT: Moving from Iraq to Syria, the phrase 'no boots on the ground' was used in relation to the operation to retake Raqqa. But when US troops were spotted there, they were then called 'volunteers'. How much independence did these volunteers have from US command, do you think? BB: I think the answer to that would be zero. No independence whatsoever. It is an old cliché that the first casualty in war is the truth. We now have a certain nuanced version of the casualty of truth. This is just a label for defining things differently. You are not a military soldier, you are not a combat troop, you are an adviser. Or you are volunteer. Of course, you are military people with guns directing air force and air strikes against enemy targets. You can be killed. And when you are killed, you are definitely boots on the ground. So, what we see is a labeling, defining issue again and it is pure politics on the part of the American politicians because the American people don’t want the US to be involved in another major war in the Middle East. And really what is happening in Syria – it is a war of aggression because unlike Iraq, the US cannot even point to the sovereign government as having invited them. So, they are there without invitation, thus they are an invasion force that is the violation of international law.